Emergency departments (EDs) care for patients with complex medical problems who require a coordinated care approach. 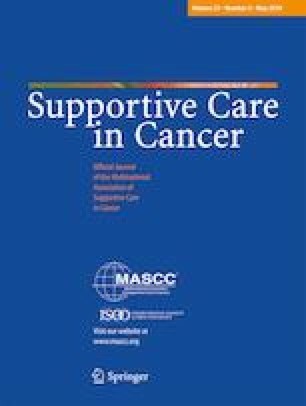 Patient navigation services, which help assist patients with care coordination, have been widely implemented for patients with cancer in a variety of settings, but this approach has not been described in the ED. We sought to better understand the potential for ED-based patient navigation services from the perspective of individuals currently providing these services in other settings. A survey was conducted of participants at a regional conference for patient navigation services of patients with cancer. Eighty-five completed surveys were returned representing a response rate of 64%. Ninety-one percent of responses indicated that lay navigation services would be either very helpful or moderately helpful for either ED patients with cancer or for ED patients aged 65 years or older with or without cancer in an ED. Coordination of care, the provision of emotional support and educational resources relevant to their medical conditions, and providing companionship to older patients during the ED visits were identified as priorities for an ED-based lay navigation program. The lack of navigators with experience in the ED, the physical space constraints of the ED, and the time constraints associated with an ED visit were identified as the primary barriers to establishing a lay navigation program in the ED. These results identify the care priorities and barriers to be overcome during the development of an ED-based lay navigation program from the perspective of those currently providing patient navigator services. The online version of this article ( https://doi.org/10.1007/s00520-019-04766-5) contains supplementary material, which is available to authorized users. Study concept and design: all authors; Acquisition of the data: JJB; Analysis and interpretation of the data: JJB, JBS, TFP; Drafting of the manuscript: JJB, TFP; Critical revision of the manuscript: all authors. JJB, AES, AWP, JP, and TFP report no conflict of interest. JBS reports paid participation in a speaker’s bureau for Novartis and Pfizer. The authors have full control of all primary data and agree to allow the journal to review their data if requested.